Nationwide Bank deposit account members have been transitioned to Axos Bank. Our partnership with Nationwide is built on the common belief that you are our priority. 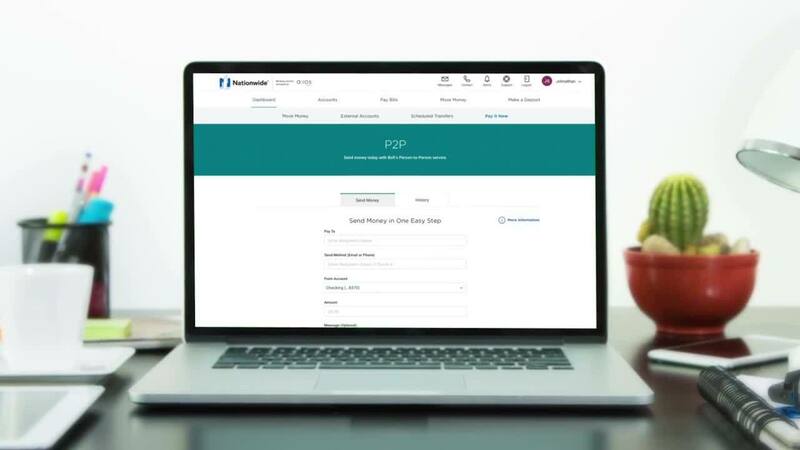 With a depth of product offerings and a history of innovation, we are looking forward to providing a customized online banking experience to Nationwide members. We are fully committed to making your transition to Axos Bank as smooth and seamless as possible. Our team is here to help you through the transition and beyond, you can reach us via the channel that works for you, whether that is email, live chat or phone. Let us help you find financial solutions to help you grow your nest egg. One of the first banks to offer banking services exclusively online, we have represented financial strength, superior customer service and innovation in banking for over 18 years. We recently took on the challenge of consolidating brands and selecting a new name and image that reflects our commitment to meeting the evolving needs of today’s consumers. To learn more about us, please visit www.axosbank.com. Go to nationwide.axosbank.com and select the Sign In option. Either enter your old Nationwide username or create a new username. Create a new password and confirm your identity through a few security questions. Install the Axos Bank for Nationwide mobile app from the App Store or Google Play. After completing your registration, please visit our support section to learn more about navigating through the Axos Bank online platform.